I was watching live but started at the beginning of the broadcast at a more civilized PST hour. The tournament must have ended and my video ended abruptly with no chance of watching the last nine holes of the final group. In the era of streaming and DVR’s this is unacceptable. If you allow pause/rewind, you must let the user finish watching the show. Alternatively, restrict to “live only,” like TV was in the 1970’s. Tracking feature is addicting—I can’t stop playing around with it. HD picture quality on my iPhone is impeccable. UI is intuitive and powerful. Excellent job on this app. Great job on this app. I’m enjoying all aspects!!! 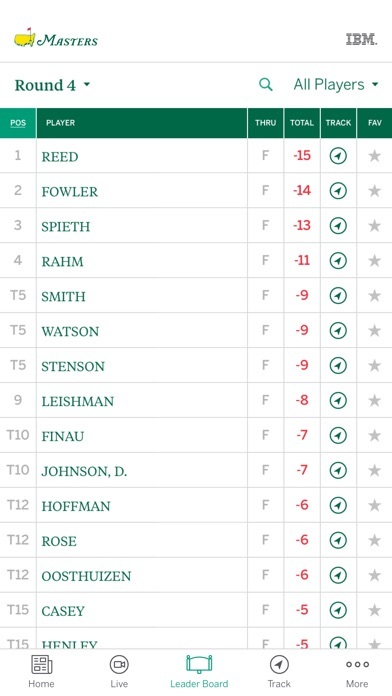 Masters 2019 I am blown away by this app. So many different functional uses. Updated instantly and easy to use. Thank you for getting this so right! I write reviews when apps are terrible or phenomenal. The Masters app is the latter. I’ve used the app for years, and its comprehensive features and experience never disappoints. Your ability to navigate seamlessly between live video feeds, scores/standings, schedules, social updates, notifications, and so much more is exactly what the virtual patron needs and wants. 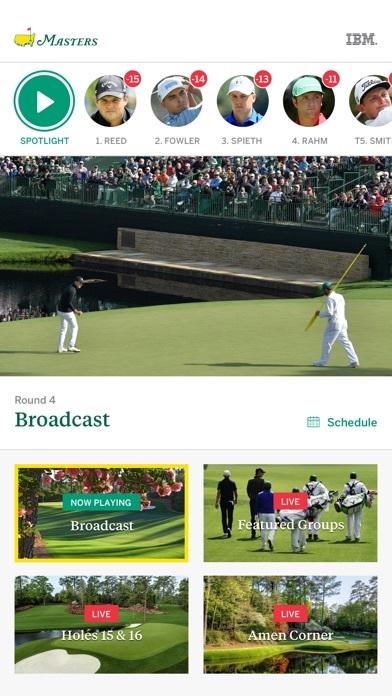 During The Masters, this app is live and loaded on all my devices for the maximum experience. In fact, I’m currently watching on my AppleTV, iPad, and iPhone. Definitely a must-have app! There are a lot of other apps that could take some lessons from the iOS team responsible for developing this app. I get all three or four audio feeds at once on Apple TV, plus echoes. Most of the day on day three, now again on day four. Good try, but you gotta fix the audio. Every big sports event should have an app like this. Multiple video shots of the action at one time. Behind the scenes video ( practice range)! How can we get this for the nba finals and the Super Bowl?? Works great. Can watch live....multiple videos. Featured groups follows two groups. It’s great. HD and stereo. And...no commercials. I have the TV on at the same time and watch both. This is the best sports app I have ever seen. The TRACK feature is the coolest. Layout is is intuitive. Everything you need one click away. Perfect video. Perfect sound. Great job on this app. Omg. Best live golf app ever made! People complaining about it’s functionality are nuts. Works awesome. Talk about first world problems. BTW, never a glitch. Amazing app! Keep it coming! Looks like there is a lot of video, but I can’t see more than a few seconds before it freezes and then the audio continues. Slider doesn’t work to bring the video forward or back. Works well to see the leaderboard, but there are many apps that do that without downloading this. The coverage provided by this app is unbelievable. 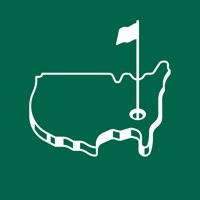 If you are a golf fan, the world is at your fingertips! Absolute scam by a horrendously run organization. 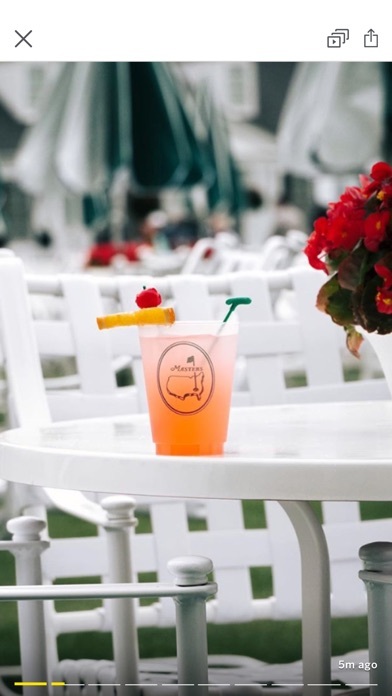 It’s just Saturday at the masters and tiger woods is 1 shot off the lead and you can’t watch the first half of his round. How about Tony Finau you say? Nope. Phil? Nope. Rickie?!? Nope. Surely I can watch JT though?!? Nope. You see TV coverage starts 15 minutes after the leaders tee off because we devised the most asinine tv coverage known to man. Oh and yes tiger is in a featured group. But we only show 2 featured groups at a time. So we won’t show him until the other featured groups finish, but tv coverage will have started by then anyways. Hehe Stupid product from an arrogant organization. Beautiful app. Such attention to detail and everything just works. Pay attention - this app should set the standard for sports apps. This is a great app! I love the live streaming and the Track feature. You out did yourselves this year. I streamed the first two days, from the range to the finish, nonstop. There’s always someone hitting a shot, so there’s always someone to show. No commercial interruptions. I’ve been playing this on my phone at my desk, and it’s honestly better than watching the tv version. My iPhone 8 Plus 256GB plays this year’s (2019) Masters coverage crisp, live, and smooth. The colors are astounding and audio is heavenly. I enjoyed using this new app. Still figuring out all the cool features, but I love it. I want to commend the developers for putting in the hard work necessary to make a wonderful app. 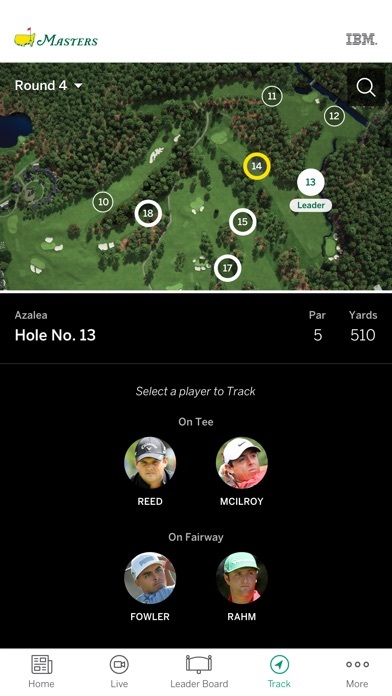 It’s an app that houses multiple uses (video streaming, shot tracking, and stat curating) all within a sleek, clean design. I thoroughly enjoy using this app every year! I can't believe this is free. I've been using it for years to follow the Masters and it keeps getting better. I love the new 3D shot track feature with the video of each shot inset. This is nearly perfect. My iPad is up to date on for the current IOS but it says that the current version is not supported. Is there a problem with the app? None of the live video streams work. Very disappointing. Great app and it keeps improving every year. Love the live features while I’m at work and when traveling. 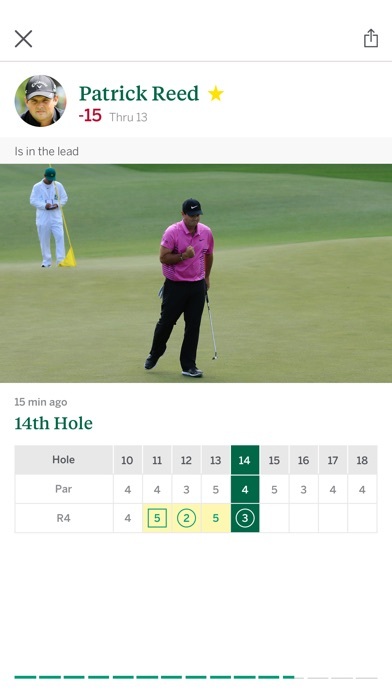 Now that I can stream the Masters from my phone, my bathroom breaks at work last upwards of fifty minutes. My patients can get restless in the dentist chair, so I let them stream too! Five stars! The content in the app is all over the place. The posters and editors have done a poor job at design and layout. Too much navigating to find the important info. Such as pairings and an overall summary of previous rounds. Capable of so much more. Need more quick glance info that’s informative. I look forward to this app every year. It continues to impress me with every new feature and is a pure joy to use. Exceptionally good app, year after year!!! Don’t know who is at fault, but streaming has been doing repeat sequences all day, pretty annoying. Only app that won’t connect. Can’t even get to updated leaderboard. Best tournament on the planet. Poor app. 4th generation iPad is not compatible with this app. Pretty pathetic they couldn’t release a different version. Most likely Apple made sure it wouldn’t work with older tech so I buy the new one... amazon or Samsung here I come!!! !